Can a Perfect Planet Save the Human Race? Risking everything, leaving the known world behind as the Earth is being totally decimated by an atomic war, a brave and visionary crew leave Earth on the spaceship Aquarius, traveling to another galaxy where a planet has been identified that can sustain human life. They call it Tara, and it represents hope for a new beginning. But a planet that is ideal for human life is certain to be inhabited by an intelligent life form already. As the crew approaches Tara, they make contact with the race already living there. Will the crew of Aquarius have the chance to prove that the human race can redeem itself and not make the same mistakes of the past ? How will they handle the encounters of hostile creatures as well as understanding an advanced society? They are the last of the human race. 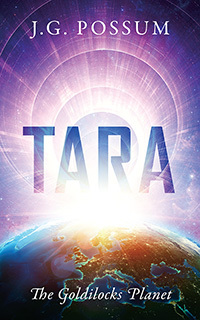 Inventive, insightful, and adventurous, Tara is explorer science fiction in the best tradition. A must read. Jerry G. Possum was born in central Pennsylvania. 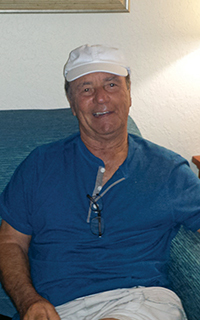 At the age of seventeen, he joined the US Navy and served aboard a destroyer in the Korean Conflict. His ship was awarded three battle stars. After his service, he earned a Bachelor of Science Degree in Industrial Quality Control. In his extensive engineering career, he has written over one thousand quality-control test methods and procedures and issued several quality control manuals for manufacturing. After retiring, he worked as a Manufacturing Quality Control Consultant. Presently, he lives in central New England, near his five children and thirteen grandchildren. He’s a patented inventor, an artist, a billiards instructor and a lifelong science fiction enthusiast, he wrote his first novel at the age of eighty-six.